Gun Mart is the UK’s most extensive sports shooting and gun magazine featuring a huge variety of firearms and the latest reviews including Airguns, Shotguns, Rifles, Pistols etc. Buy a single copy or subscription to Gun Mart magazine. 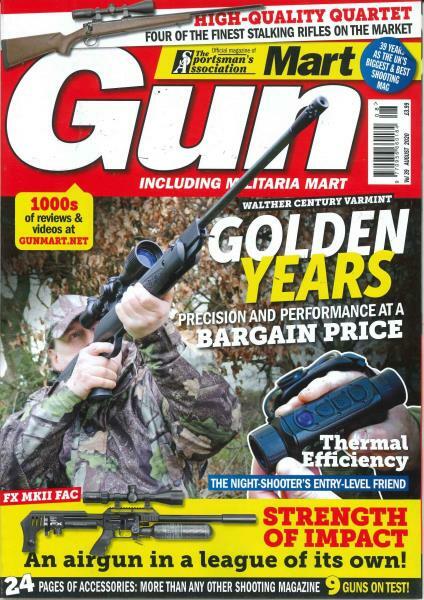 Gun Mart features the UK’s largest market place for buying and selling guns and accessories spread over 200 pages. “Militaria Mart” which highlights militaria auctions, a diary of UK events, reviews etc. It also tests approximately 10 guns a month offering readers specialised extensive reviews, not only on weapons but the most up to date firearm accessories and gives access to a huge variety of sports shooting, clothing and a huge variety of ancillary supplies.